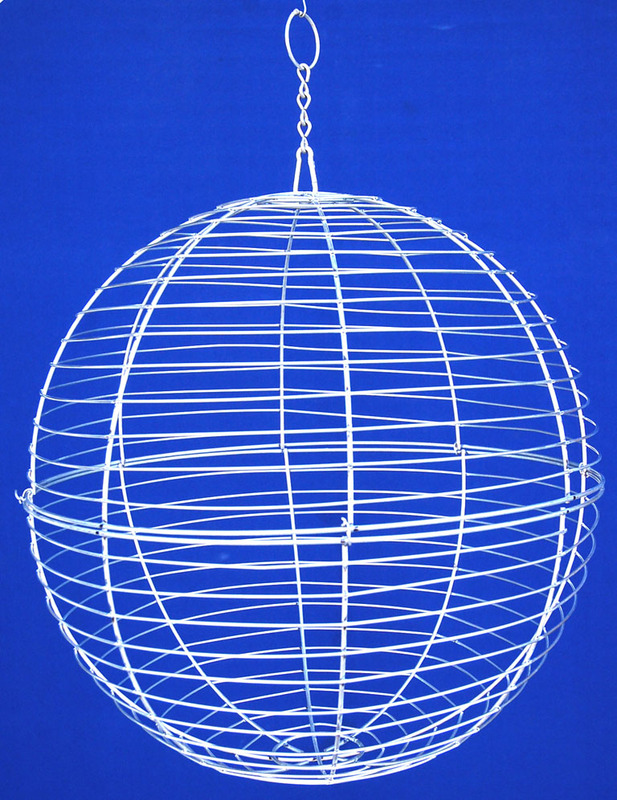 WIRE BALL - WIRE SPHERE - WIRE GLOBE 16"
Home > WIRE HANGING BASKETS - WIRE BALLS - WIRE SPHERES - WIRE BALLS > WIRE BALL - WIRE SPHERE - WIRE GLOBE 16"
Hanging wire sphere perfect for any project. This form is made of two half "shells" that can be used for growing plants inside and let it grow out. Can be used with plant in pot only or partially lined with sphagnum (or sheet) moss. Will come with 5" long detachable chain. WIRE BALL - WIRE SPHERE - HALF GLOBE 16"